Baroness Susan Greenfield – Neuroscientist, Broadcaster, Author and Keynote Speaker. Susan Greenfield was an undergraduate at St Hilda’s College Oxford, and took a DPhil in the University Department of Pharmacology, Oxford, and subsequently held research fellowships in the Department of Physiology, Oxford, the College de France, Paris, and NYU Medical Center, New York. In 1985, Susan Greenfield was appointed University Lecturer in Synaptic Pharmacology, and Fellow and Tutor in Medicine, Lincoln College, Oxford. She then held a Visiting Research Fellowship at the Institute of Neuroscience, La Jolla, USA, and was the 1996 Visiting Distinguished Scholar, QueensUniversity, Belfast. Susan Greenfield became Professor of Synaptic Pharmacology in 1996, and has been awarded 24 Honorary Degrees from British and Australian universities. In 1998 she was appointed Director of the Royal Institution of Great Britain, a post she held jointly with her chair in Oxford, where she heads a multi-disciplinary research group exploring novel brain mechanisms linked to neurodegeneration. In addition, she is a Founding Director of Synaptica, BrainBoost, and Neuro-Diagnostics, companies developing pharmaceutical and non-invasive approaches to Alzheimer’s, Parkinson’s and Motor Neuron Diseases. In 2000 her work was the subject of a chapter in ‘Bold Science’, a book on science pioneers, by Ted Anton (W H Freeman). A more theoretical aspect of Susan Greenfield’s work is in the physical basis of the mind. In 1987 she edited ‘Mindwaves’ (B Blackwell) with Colin Blakemore and in 1995 published her own theory of consciousness ‘Journey to the Centres of the Mind’ (WH Freeman). This theory has been developed substantially in ‘The Private Life of the Brain’ (published by Penguin in 2000). Her book ‘Tomorrow’s People: How 21st Century technology is changing the way we think and feel’ (Penguin 2003), explores human nature, and its potential vulnerability in an age of technology. Susan Greenfield makes major contributions to the communication of science to the general public. In 1994 she was the first woman to give the Royal Institution Christmas lectures and has subsequently made a wide range of broadcasts on TV and radio. As well as appearing as the specialist scientist, she has participated in more general programmes such as “Start the Week”, “Any Questions”, “DesertIsland Discs” and “Question Time”. In addition, she gave the Dimbleby Lecture in 1999 and has written and presented a series of four programmes for BBC Radio 4 on drugs, followed by a major six part series on the brain and mind, ‘Brain Story’, broadcast on BBC2 in July 2000, for which she wrote the accompanying book . In 1998 she received the Michael Faraday Medal from the Royal Society for making the most significant contribution to the public understanding of science, as well as winning the “Woman of Distinction” 1998 award from Jewish Care. Susan Greenfield has been profiled in a wide range of papers and magazines and was included as one of the ‘100 most influential women in Britain’ by the Daily Mail in 2003, ranked number 14 in the “50 Most Inspirational Women in the World” by Harpers and Queen, and voted ‘Woman of the Year’ by The Observer in 2000. Also in 2000 she was elected to an Honorary Fellowship of the Royal College of Physicians, and is President of the Classical Association for 2003-2004. Recognition of her work includes the ‘Golden Plate Award’ from the Academy of Achievement, Washington, in May 2003, and her election as Adelaide’s ‘Thinker in Residence’ for 2004. Susan Greenfield has also developed an interest in science policy. In March 1999 she was invited by the Prime Minster to give a consultative seminar on ‘The Future of Science’ at No.10 Downing Street and, in 2004/5, was involved in the ‘Science and the Economy’ seminars at No 11. In 2000 she was in consultation with the Government on science funding, and subsequently requested by the Prime Minister to submit a memorandum ‘Genetics, Science and Risks’. In response to a request in 2002 from the Secretary of State for Trade and Industry, she produced the Greenfield Report ‘SET Fair: A Report on Women in Science, Engineering, and Technology’. She has been a Forum Fellow at the World Economic Conference at Davos for the last 5 years. 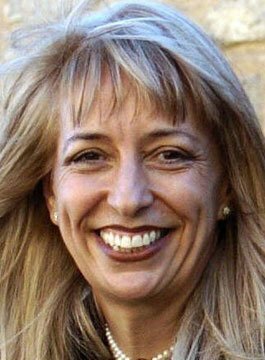 In the Millennium New Year’s Honours List Susan Greenfield was awarded a CBE, and was granted a non-political Life Peerage in 2001. In 2003 she was awarded the Ordre National de la Legion d’Honneur.